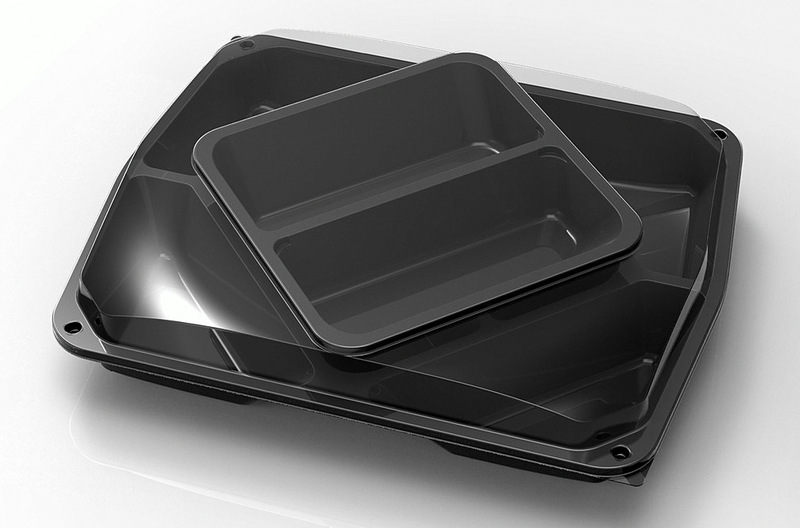 The Hi-Tapas serving tray has a distinctive and compact design, yet still has a generous capacity. The clean lines ensure a clear and tasteful presentation, which is further accentuated by the glossy recycled PET material. The addition of a handy 2 compartment ‘Pop-up’ top tray not only saves space but also gives the tray a surprisingly recognizable appearance. 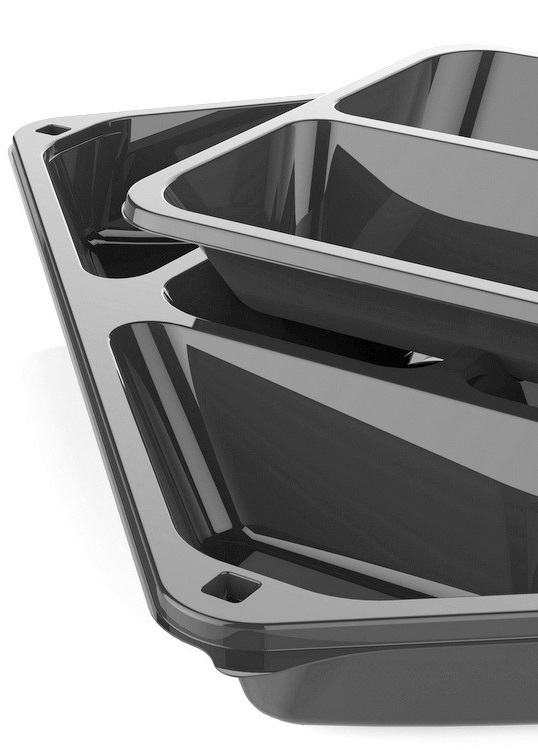 Under the Pop-up tray, there are also two additional compartments with a combined capacity of over 320 ml. The entire tray is closed with a crystal-clear lid, made of 100% recycled PET. The Hi-Tapas serving tray has no less than 8 compartments! Fill the whole dish with tapas snacks, or combine them with vegetables, fruit, snacks or sauces. How handy is that? After filling, simply click the lid on. The outer dimensions of the Hi-Tapas tray meet the requirements of collo-modularity (CBL crates). The size also fits within the gastronorm dimensions, so a sealed variant is also possible. The Hi-Tapas is suitable for industrial and manual processing. If you have any questions about our new ‘Hi-Tapas’ dish, please feel free to contact us directly via telephone (+31 (0)55 599 65 00) or email.